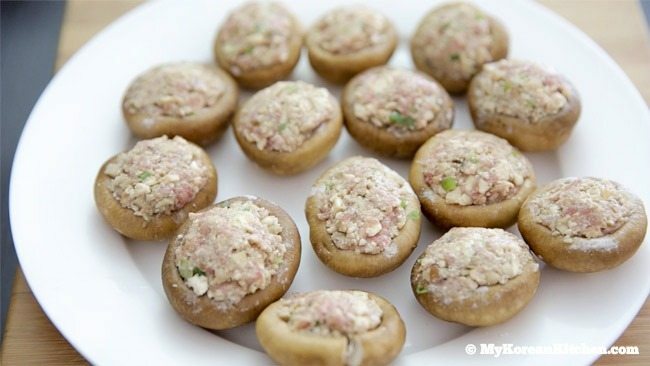 Stuffed shiitake mushrooms are one of popular Korean festive holiday food. 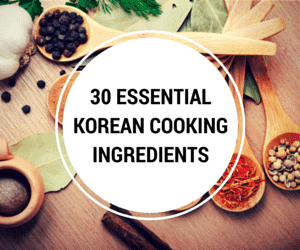 They are packed with delicious and healthy proteins! 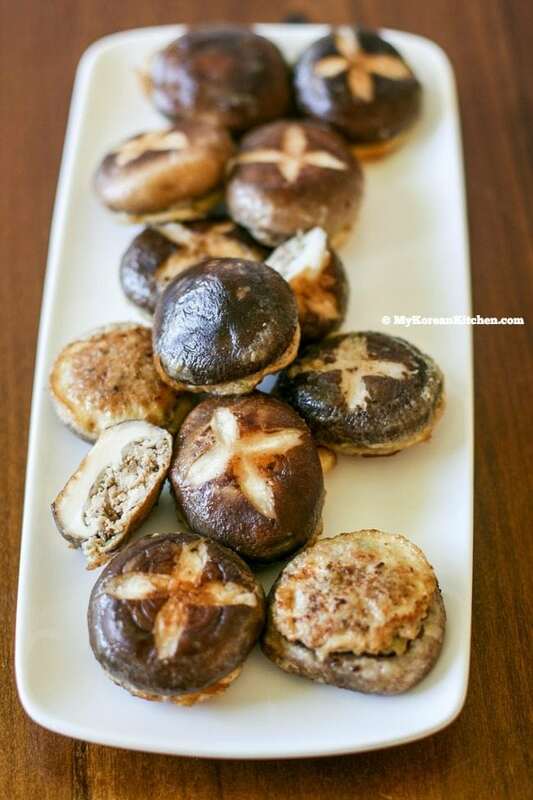 Today I’m sharing protein rich stuffed shiitake mushrooms recipe. 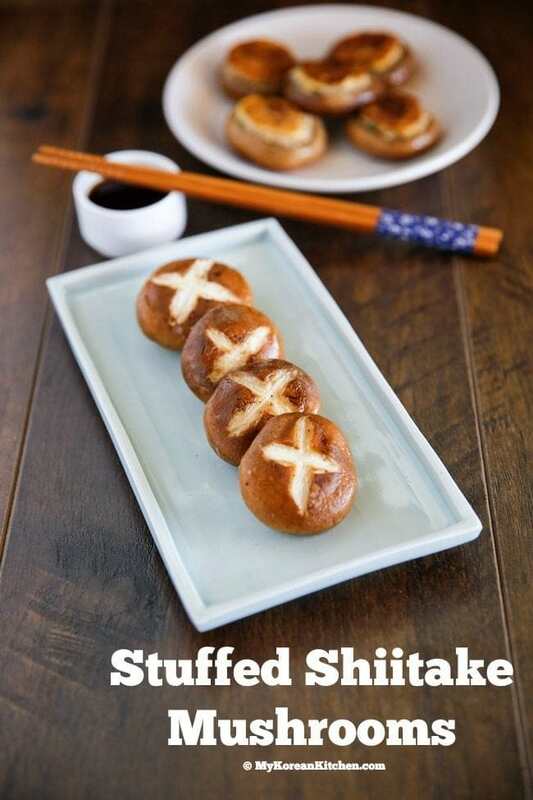 Yeah, these are shiitake mushrooms, not hot crossed buns! lol. I didn’t realise until my husband pointed out that they sort of look like the buns. 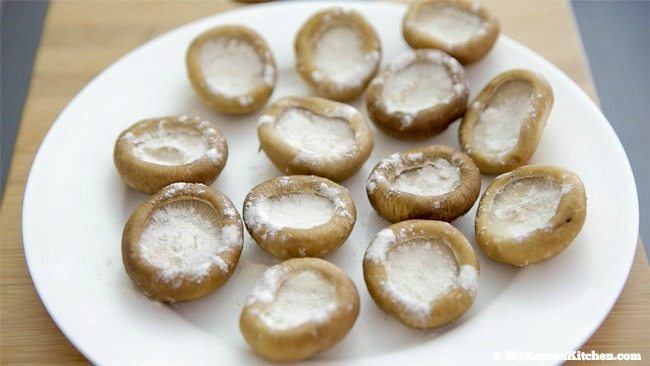 Stuffed shiitake mushrooms are called pyogo beoseot-jeon (표고버섯전). I don’t know the exact reasons, but they are particularly enjoyed during the Korean festive holidays – Korean harvest festival (Chuseok) & New Year’s Day (Seollal). Though I suspect that it could be because these are packed with delicious and healthy proteins. 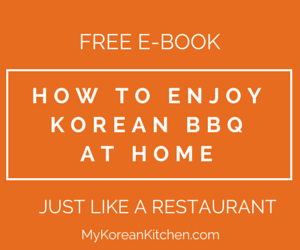 In the old days in Korea, meat was something you could only eat on a special celebratory occasion such as Chuseok and Seollal unless you were rich. What do you think? Convincing? Anyway, these are also easy to make. The most time-consuming part is carving the mushroom head for decoration. But if you don’t care about the look, you can certainly skip that process. In my recipe, I used tofu and minced beef as my protein source but you can use other kinds of protein (e.g. meat/seafood/tofu, etc. ), whichever it might be, so these are very versatile as well. 14 to 16 fresh shiitake mushrooms (200g, 7 ounces) – make sure the mushroom head is curved inwards to hold the stuffing. 1.Rinse the mushrooms in cold water and pat dry with some kitchen paper towel. 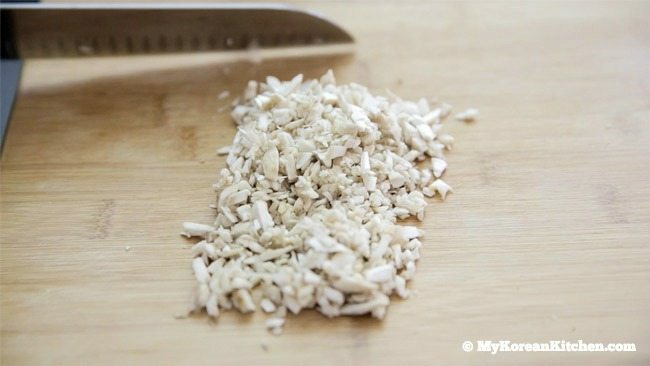 As you pat dry the mushrooms, remove the mushroom stems with your hands. Set aside the mushroom head and the stem in separate groups as you progress. 2. Lightly carve the mushroom head surface with a small knife to make a star or flower head shape for the look. (This step can be optional but it presents better.) 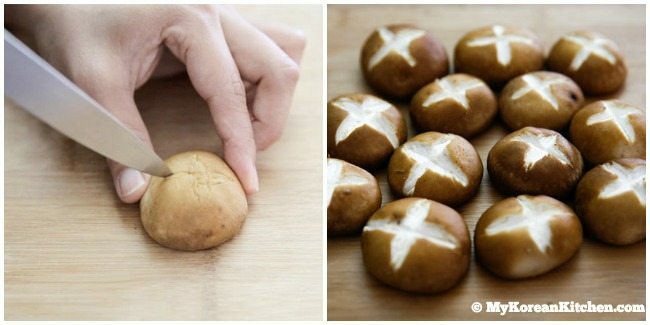 Keep the mushroom skin that comes out as you carve it. Set aside the mushroom head and the mushroom skin on separate plates as you progress. 3. Finely dice the leftover mushroom stems (from step 1) and the carved out mushroom skin (from step 2). Put them into a mixing bowl. 4. 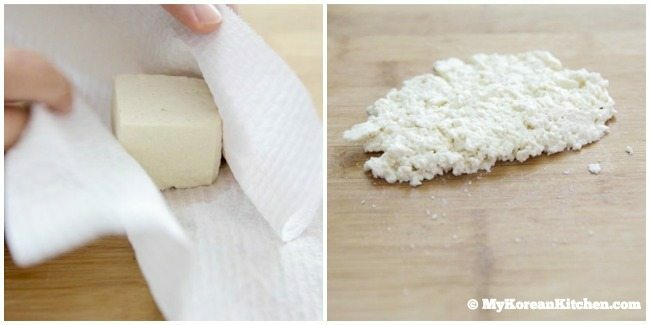 Pat dry the tofu with kitchen paper to remove excess water and mince it with a knife. Add it into the mixing bowl. 5. 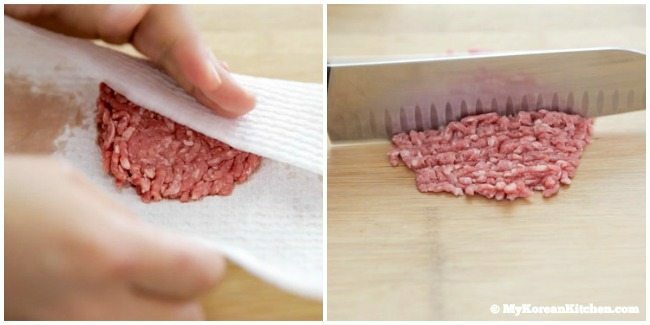 Pat dry the beef mince with kitchen paper to remove excess blood and mince it with a knife. Add it into the mixing bowl. 6. Add the rest of the stuffing ingredients in the mixing bowl and mix them well with your hands. 7. Line all the mushrooms on a large plate with the heads facing down. Scatter the flour lightly onto the mushroom hole where we will add the stuffing. 8. Fill the mushrooms with the mixed stuffing ingredients from step 6. Finish off by sprinkling some flour on top of the stuffing. 9. Break the eggs in a clean bowl and whisk them well. 10. Heat a frying pan on medium heat and add some oil. 11. Once the pan is heated, lightly dip the stuffed mushrooms into the egg bowl (only dip the stuffed side for better visual look of the mushroom) and place the mushrooms onto the pan and cook (the stuffed side is cooking first). When the stuffed side is all cooked (in about 2 mins), turn it over quickly and lightly cook the mushroom on the head side. Remove them from the heat. Repeat this until you cook up all the mushrooms. If you have some stuffing and egg leftovers, just cook them on a pan and eat it as a side dish. 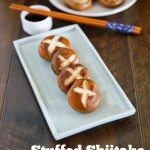 Easy stuffed shiitake mushroom recipe. 14 fresh shiitake mushrooms (200 g / 7 ounces), make sure the mushroom head is curved inwards to hold the stuffing. Rinse the mushrooms in cold water and pat dry with some kitchen paper towel. As you pat dry the mushrooms, remove the mushroom stems with your hands. Set aside the mushroom head and the stem in separate groups as you progress. Lightly carve the mushroom head surface with a small knife to make a star or flower head shape for the look. (This step can be optional but it presents better.) Keep the mushroom skin that comes out as you carve it. Set aside the mushroom head and the mushroom skin on separate plates as you progress. Finely dice the leftover mushroom stems (from step 1) and the carved out mushroom skin (from step 2). Put them into a mixing bowl. Pat dry the tofu with kitchen paper to remove excess water and mince it with a knife. Add it into the mixing bowl. Pat dry the beef mince with kitchen paper to remove excess blood and mince it with a knife. Add it into the mixing bowl. Add the rest of the stuffing ingredients in the mixing bowl and mix them well with your hands. Line all the mushrooms on a large plate with the heads facing down. Scatter the flour lightly onto the mushroom hole where we will add the stuffing. Fill the mushrooms with the mixed stuffing ingredients from step 6. Finish off by sprinkling some flour on top of the stuffing. 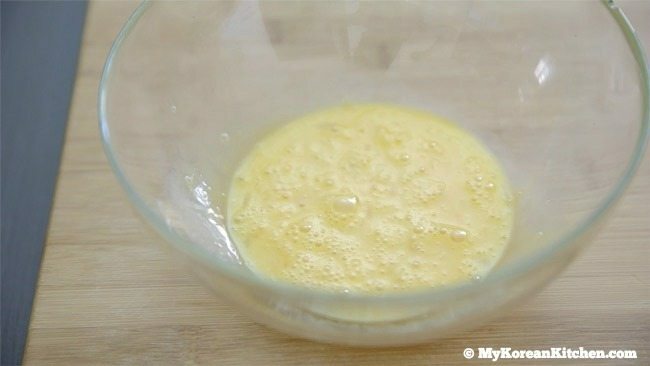 Break the eggs in a clean bowl and whisk them well. 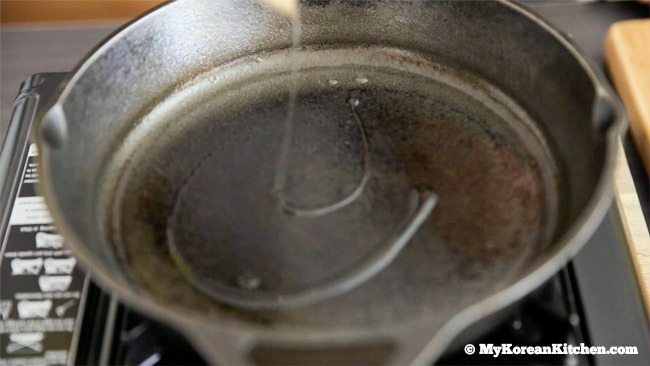 Heat a frying pan on medium heat and add some oil. 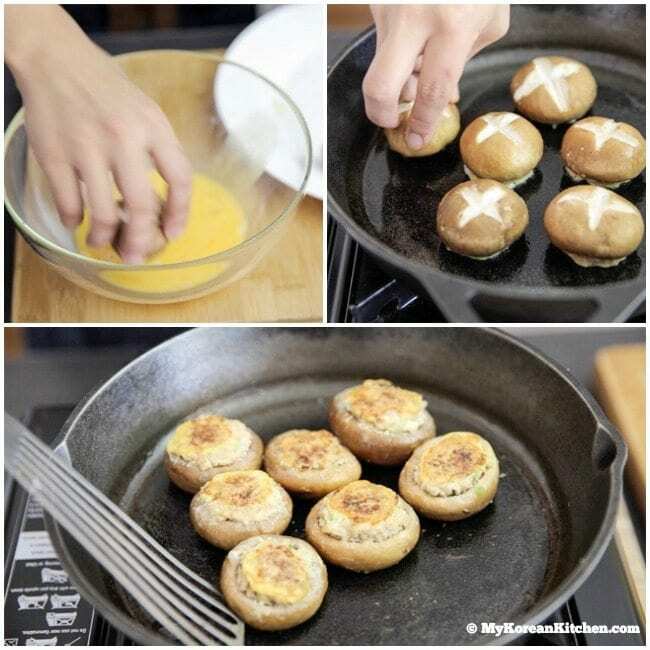 Once the pan is heated, lightly dip the stuffed mushrooms into the egg bowl (only dip the stuffed side for better visual look of the mushroom) and place the mushrooms onto the pan and cook (the stuffed side is cooking first). When the stuffed side is all cooked (in about 2 mins), turn it over quickly and lightly cook the mushroom on the head side. Remove them from the heat. Repeat this until you cook up all the mushrooms. 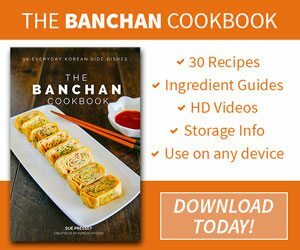 I making New Years and would love to make this ,, couple of questions, can you use dry mushrooms, can you bake this dish. I think I am going to crave out a piggy face since year of the pig! If you’re using dried mushrooms, you will have to re-hydrate it first. I love the versatility of this recipe and the presentation is beautiful! I’m going to try it soon. Thank you for sharing! I tried it for the first time today, and it came out great! I’m glad you didn’t keep this one from us 🙂 my design wasn’t as clean, and my husband thought it was a cross hahaha.